Follow Coffee on Greenvale Street are now serving yummy gluten free treats alongside their normal menu. 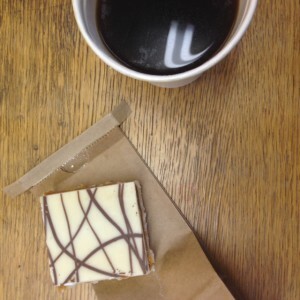 We at Ballymena Today recently popped in and treated ourselves to an Americano and a gluten free coconut and caramel square. 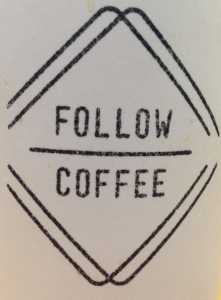 Click here to visit the Follow Coffee website. A gluten free diet is necessary for anyone who has been diagnosed with celiac disease. Over the past few years lots of establishments have started to make food which is gluten free and can be enjoyed by everyone. 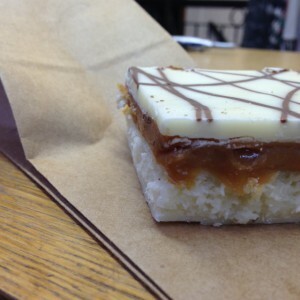 We loved the coconut caramel square and enjoyed our coffee to. If you have celiac disease and are looking for a tasty treat in town look out for gluten free treats on Greenvale Street at Follow Coffee.